Don’t think that because it’s winter, your home is free from pests. Insects, bugs, and rodents can also appear in your home in the cold season because they are looking for some warmth, and your house is just the perfect place to find it this winter. Although DIY is always an option when it comes to pest control, it’s not a good method. There are many types of pests and there are also many ways to deal with them effectively. You should, therefore, get the help of professionals when it comes to keeping your home free of pests. For almost three decades Parsons Pest Control serves as a reliable pest management service provider in Dallas. Our technicians have years of training in identifying different bugs, insects, and rodents and in dealing with them. When it comes to bugs, for instance, there are different types. The pest treatment method for one bug may not work for another. This is why an expert eye is needed to determine the species of pests and use the right method of eliminating them. 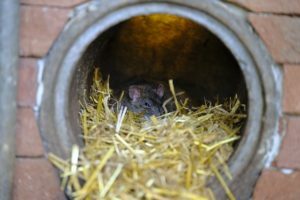 Rodents like rats and mice love your home as much as you do. Their favorite areas are your kitchen, attic and basement. It’s not easy to keep them at bay because they can pass through small holes and cracks. For rodents, DIY is not really an effective and long-lasting method. If you want a permanent solution, you need to call a pest control expert. Mosquitoes are also among the most dangerous pests in homes. They can spread diseases like malaria and dengue. Parsons Pest Control can perform fogging. Trust our technicians to use the products of mosquito-control that is safe for your family. Explore our services and give us a call TODAY!